Gone are the days when standard foundation and tinted moisturizers were the only choices of beauty enthusiasts for getting a flawless skin. The latest skin care and makeup trends have given rise to a bewildering array of flesh-colored fluids, which come with even more confusing ‘alphabetical’ names. Yes, we are talking about ‘BB creams’, ‘CC creams’, and ‘DD creams, which have already taken the beauty industry by the storm with their ‘skin-perfecting potential’. But what do these creams actually do to our skin and how are they different from each other? Today, let’s do a beauty breakdown and learn the differences between BB, CC, and DD creams. 1. 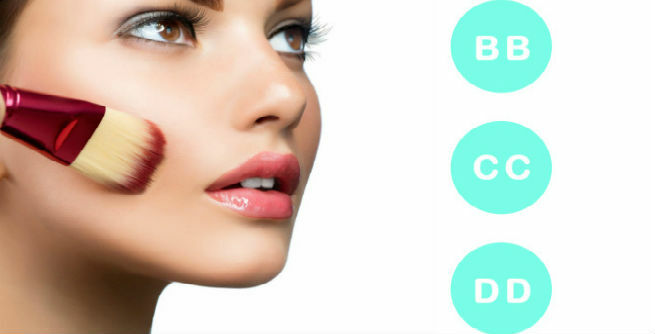 What Are BB Creams? ‘BB’ creams are ‘Beauty Balms’ or ‘Blemish Balms’, which offer wonderful coverage along with a number of added skin care benefits. These are slightly heavy ‘tinted moisturizers on steroids’ with a consistency lighter than regular foundation. There are quite a few shades of BB creams available in the market from which you need to choose the right one for your skin. A BB cream can be used as both a moisturizer and a foundation. Furthermore, it can be used as a primer for creating the base of the makeup. However, being tinted, you do not need to use it a lot. Just a light layer is enough to get a fresh and gorgeous look. BB creams are rich in antioxidants, which prevent premature aging and help in smoothing out the skin by eliminating signs of aging, such as wrinkles, fine lines, etc. It can fade away unexpected spots and blemishes from the skin, thereby giving it an even tone. The moisturizing quality of these creams helps in keeping our skin hydrated always. Most of the BB creams come with 30 or more SPF, which is good for providing protection to our skin from sun damages. They contain certain light-reflecting components for giving our skin a dewy, radiant finish. However, BB creams are not for acne-prone skin and they offer comparatively lesser coverage than other alphabetical formulations. BB creams were first formulated by German Dermatologists. Though they were intended for the patients of cosmetic surgeries, they got more popular as tinted moisturizers afterwards. 1. What Are CC Creams? CC creams are ‘Color Correcting’ or ‘Color Control’ creams with a lighter consistency and better coverage than its predecessor i.e. BB creams. They are considered to be an advanced version of BB creams containing vitamin C and vitamin E, which mainly focuses on rectifying various color-related skin problems. Also, CC creams are available in a larger variety of shades. The best thing about CC creams is that they can be applied right over the moisturizer. There is no need to apply it onto the foundation like BB creams for creating the makeup base. CC creams comprise light-diffusing components, which are good for correcting a variety of skin issues like reddishness, sallowness, dullness, dark spots, blemishes, etc. Women suffering from acne and its ugly marks can find these creams highly effective. Like BB creams, they also come with SPF for combating the damages caused by the harmful rays of the sun. The sheer coverage offered by CC creams gives a smooth and even finish. 1. What Are DD Creams? DD creams or ‘Dynamic Do-All’ creams are the newest addition to this list of alphabetical skincare formulations and it is known to be the hybrid of both its predecessors. 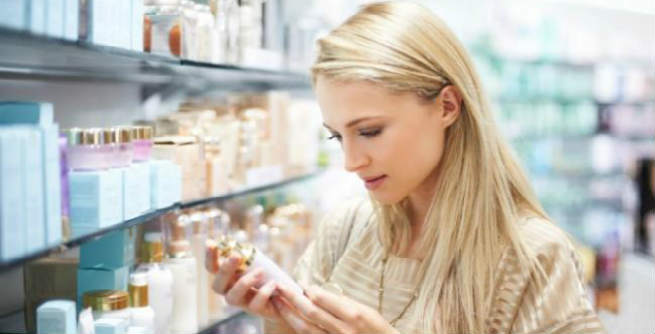 Though the primary intention of creating this formulation is to provide anti-aging solutions, we can expect a lot more from these super creams categorized as ‘heavy duty body and foot creams’ by American cosmetologists. DD creams are said to be used each and every day for enhancing the tone and texture of the skin significantly. DD Creams mainly eliminate the signs of aging, such as age spots, fine lines, wrinkles, etc., thereby putting a stop to untimely aging. It can also even out the skin tone and provide protection to the delicate regions of the face. BB creams combine soft foundation, tinted moisturizing elements, and anti-oxidant ingredients together. CC creams comprise color correcting ingredients including vitamins (C and E). DD creams contain botanical oils, hyaluronic acid, peptides, and antioxidants. BB creams are ‘all-in-one creams’ that mainly offer good coverage as primers while moisturizing the skin, protecting it from sun damages, and working as the base for makeup. CC creams offer color correction along with medium to high coverage. DD creams come with anti-aging benefits. They are basically a combination of BB and CC creams. BB creams create a dewy and luminous appearance. CC creams give a whipped and fluffy feel while giving a matte finish. DD creams also make the skin look fresh, dewy, and radiant. Theoretically, you will find BB, CC, and DD creams different from each other. They are also marketed for distinct issues. But when considered practically, it is pretty hard to differentiate them. Make sure that you go through the list of ingredients while picking an alphabetical formulation as it will help you decide on the right product to some extent. Also, take your time to understand which brand suits you the most as the benefits and coverage of these creams vary widely based on brands.